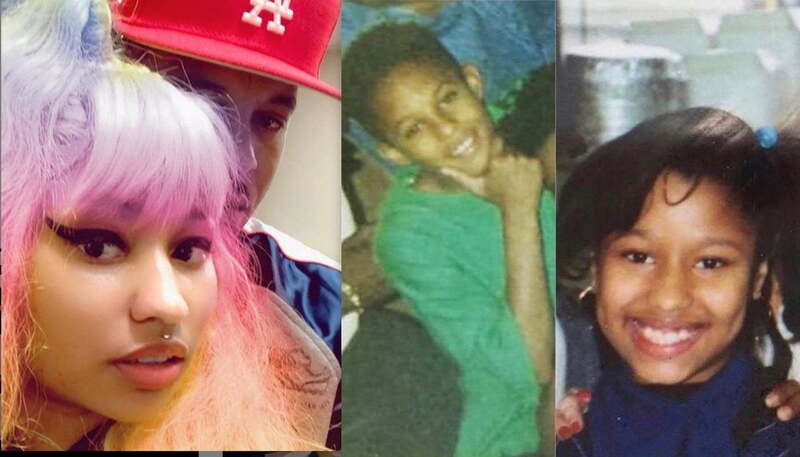 Nicki Minaj and Kenneth Petty have been rocking with each other since childhood. 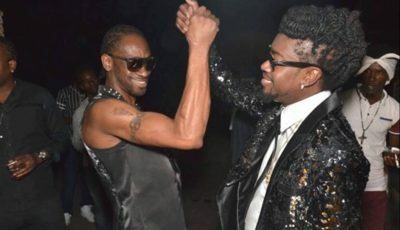 The Trini rapper shared two adorable childhood photos of herself and her husband Kenneth Petty on IG where she made fun of both of them. Amidst some bad headlines over the last few days, it’s refreshing to know that Nicki Minaj is in good spirit and she is not letting her tour dates cancellations get her down. Especially in light that some fans decided to chant Cardi B’s name at the canceled event. Nicki Minaj and Kenneth Petty have known each other from their childhood days in Queens. The two briefly dated before hooking back up last year when she became single. The couple is rumored to be engaged after Nicki called Petty her husband on Twitter. Neither of them has ever confirmed or denied the allegations, except that she has been sporting a giant diamond ring on her finger. The “Truffle Butter” rapper is currently touring in Europe for her Nicki WRLD Tour with Juice WRLD. The trek has been marred by a few cancellations over the past few weeks but remains successful for the most part. When we were younger I liked his nose & he liked that tooth sticking out my mouth. ? I hated having to smile cuz I didn’t want anyone to see it ?????? he still brings that tooth up all the time. He says he misses it. Should I get that tooth back y’all? ? the original Kirsten Dunst. ? ?